The Verderflex peristaltic pump range has gained worldwide prominence, particularly in applications involving abrasive, highly corrosive, shear sensitive, viscous and high solid content liquid products. The Verderflex peristaltic hose pumps are robust, reliable and cost effective. The unique features of the Verderflex peristaltic hose pump help to reduce downtime, minimise maintenance costs and provide easy to operate and reliable solutions in difficult pumping applications. 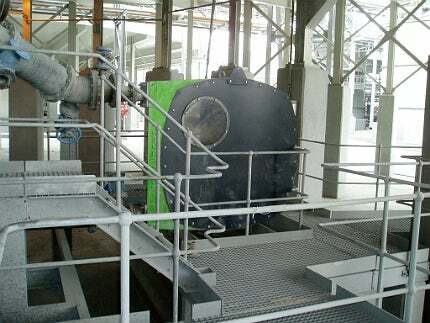 Typical mining process applications in which Verderflex peristaltic hose pumps are used include dosing process reagents, coagulants and flocculants. Ores have varying mineral contents and recovery systems must accommodate such variations. Pumps must consistently vary their dosing rates to optimise chemical usage and maintain plant throughput. Process reagents, such as cyanides and acids are often highly corrosive but as the chemically resistive hose of the Verderflex peristaltic pump is the only part in contact with the pumped product then there are no working parts exposed to the chemical. Verderflex peristaltic pumps have a linear flow-speed characteristic and excellent repeatability, an ideal complement to plant SCADA systems. Traditional low cost solutions such as centrifugal pumps can suffer from severe impeller wear, requiring frequent replacement. This causes consequent downtime and high maintenance costs which are often measured in days. Alternative solutions using rotary lobe pumps rely on consistent close tolerances between the rotor and casing to maintain performance and similarly, require extensive maintenance. Attempts to increase maintenance intervals, with such traditional solutions, often use expensive wear-resistant alloys, installing the more costly parts once the pump is in service. The seal-free design of the Verderflex peristaltic pump eliminates leaks and the consequent risk of workplace or environmental contamination. For aggressive activator solutions including Copper Sulphate, pumps as a special order can be fully nickel plated to maximise corrosion resistance and prolong the pump’s operational life. PH moderating chemicals such as lime are usually too viscous for diaphragm pumps, causing them to persistently clog up, resulting in continual downtime and maintenance requirements. Verderflex peristaltic pumps have an exceptional record of dosing lime into process and waste, many being used for bulk dosing to remediate post-mining waste. Reagents may be mixed at the mine or the processing plant, leading to less than perfectly dissolved solutions but such solids in the liquid stream are not a problem for a Verderflex peristaltic pump – mine operators can use pumping solutions that allow for mining realities. Flocculants and coagulants can be highly shear sensitive products, where excessive shearing noticeably affects plant performance. Verderflex peristaltic pumps have a gentle pumping action which produces a low shear rate. Mining industry studies have shown that Verderflex hose pumps maintain flocculent particle size. The same studies showed that progressive cavity pumps reduced particle sizes by approximately 50% to 75%, reducing flocculation performance thereby increasing chemical usage to maintain throughputs requiring longer flocculation times. Mining slurries often have sub-micron solid contents in excess of 80% by weight, and have slurry Specific Gravities (SGs) in excesses of 2.0 – these slurries are usually also highly abrasive. A Verderflex peristaltic pump is ideal for pumping slurries of this type. In addition to their abrasion resistant slurry pumping performance, Verderflex peristaltic pumps have a smooth liquid passage, so there is no opportunity for the product to settle as the peristaltic action keeps the product in suspension. The Verderflex VF125, with a 125mm or 5in internal diameter hose, is the world’s largest high pressure peristaltic hose pump with single pump slurry flow rates of more than 60m³/hour. This allows the design of larger high SG thickeners, which maximises process plant yields. Verderflex peristaltic hose pumps are renowned for providing top-quality solutions for a variety of problems within process industries around the world. The Verderflex Dura has exceptional dosing features created for industries such as brewing, ceramics, chemicals, manufacturing, mining, water and waste. Verderhus' range of screw centrifugal pump units have been specially designed for the conveyance of a variety of thick slurries, viscous sludges and abrasive media, which makes them an ideal solution for a variety of water treatment and wastewater scenarios. The next generation peristaltic case pump with intuitive touchscreen technology. The Verderflex Dura is the first real advance in hose pump technology since the high-pressure hose. IFAT is the world´s leading trade fair for water, sewage, waste and raw materials management. Verderflex peristaltic pumps are now being incorporated by a leading international wastewater instrumentation manufacturer, as part of its wastewater sampler systems. Leading peristaltic pumps manufacturer Verderflex will be exhibiting at ACHEMA, Frankfurt, Germany on 15 - 19 June, in partnership with its German distributor Verder Deutschland GmbH. Verderflex has announced that it has expanded its Verderflex Dura 45 hose pump range with the Verderflex Dura 55. A US copper mining company recently replaced four progressing cavity pumps with Verderflex Dura 15 hose pumps for dosing reagent. Copper sulphate is dosed continuously into large thickeners where it helps to separate usable metal from stone. Verderflex is pleased to introduce its new Dura 5 and Dura 7 high-pressure low-volume dosing pumps. Every time a hose pump replaces a process slurry pump, it saves more than 1,100 million litres of water annually, because of the slurry pump's inefficiency: on the same duty, the hose pump requires less than 25% of the process water of a slurry pump. This article looks at peristaltic dosing pumps used as part of the process to rectify the pH balance of acid mine water. By design, the peristaltic pump is ideal for the dependable handling of abrasive, corrosive, viscous, high density and high solid content fluids. The new Verderflex website offers its distributors and customers the 'one safe source' in which to access worldwide VF product information.